LET’S BE frank, of course there were glaring flaws in England’s performance this weekend – defensive narrowness, minimal midfield incision, uncharacteristically errant goal-kicking from Owen Farrell, and an inexplicably slow-witted spell before half-time. But rewind to March 15, one hour after the Cardiff capitulation and if you’d offered Stuart Lancaster a seven-point victory over Australia, you might have earned one long-lasting handshake. 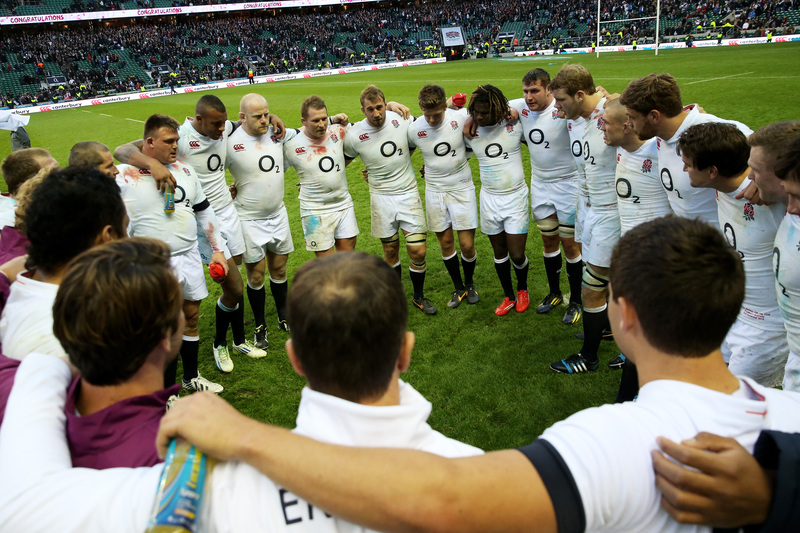 Cynics will dwell on the shortcomings of a disjointed Test at Twickenham. However, winning ugly is essential on the road to 2015. Sir Clive’s crop – who paraded the Webb Ellis trophy with England 13-6 down at the break – perfected it and things worked out fine for them. Restricting Quade Cooper and Co. to a scoreless second half required the dogged resolve normally associated with Antipodeans. Lancaster’s currency is selflessness and hard-graft – traits that defy defeat. Rough diamonds though Billy Vunipola and Marland Yarde may be, they have a fantastic environment to learn in. Autumn optimism couldn’t stop the odd lull in enthusiasm on Saturday, quiet descending on HQ as fans’ thoughts wandered. Funnily enough, that wasn’t a problem whenever Mike Brown had the ball. Eight beaten defenders and 125 running metres only tell part of the story. There was venom in his carries, fierce desperation to writhe out of tackles. He was a rallying figure for 14 men in front of him – as well as the 80,000 plus spectators. That said, Brown got overexcited sporadically, his reluctance to kick bringing undue pressure on England. Cannier decision-making will come with time. And the Cook Cup catalyst has bought plenty of that. Deploying 213 caps in the starting XV with 225 among the replacements seemed unconventional from Lancaster, yet it worked brilliantly. Faith in form was initially rewarded by a strong scrum and rapid ruck-speed that Australia couldn’t live with. Had penalties been kicked England should have been further ahead after the first 40. Enter the insurance policy. Dylan Hartley shored up the lineout, provided Chris Robshaw with a trusted lieutenant and can claim a try assist following the semi-block on Stephen Moore – grizzled know-how at its best. 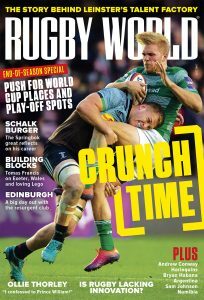 Ben Youngs fizzed about the field with a point to prove, David Wilson is a destructive scrummager who would start regularly in other nations and Toby Flood instilled calm as the clock wound down. Ben Foden didn’t even need to take his tracksuit off. Kiwis call it ‘mongrel’ – a element of spite that is unpleasant to play against. It has always been Courtney Lawes’ foremost attribute. Eight months ago when he missed four tackles in 50 minutes against France at HQ – an afternoon that arguably cost him a Lions tour – that fight was oddly absent. The 24-year-old headed to Argentina knowing he needed another dimension. 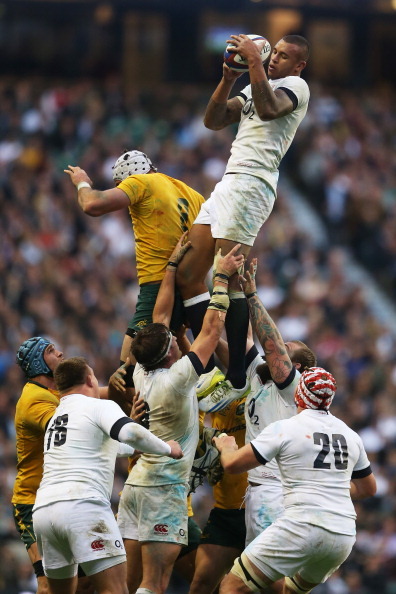 In South America, Lawes added lineout calling to his repertoire – a role he took on Saturday, helped by hours of post-training study this week. There were a couple of teething problems to start with, but even Geoff Parling has those. Things improved on the introduction of clubmate Hartley and, rising to take the final lineout himself, Lawes confirmed his ‘bouncebackability’. To finish, a negative. Two restarts in five minutes almost spoiled everything. The first followed Farrell’s second successful three-pointer. Lawes spilled it, Cooper unleashed Israel Folau wonderfully and Matt Toomua trampled Billy Twelvetrees all too easily. 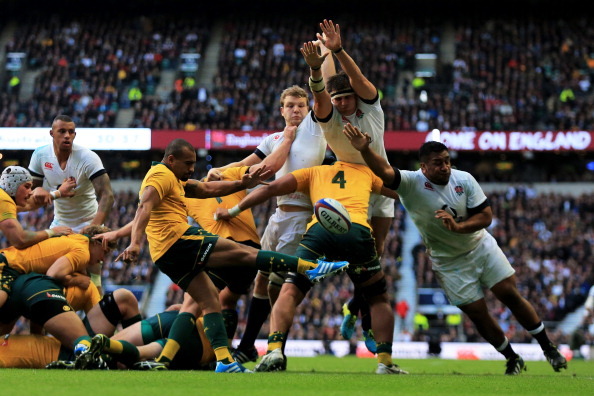 Seconds later, Yarde steamed in pursuit of England’s kick-off, tackling Adam Ashley-Cooper in the air. The Wallabies worked their way up the field before Twelvetrees flopped into a ruck. Australia had 10 sickeningly cheap points. The importance of the restart as a third set-piece has heightened over the years. Folau – a monstrous athlete – thrives there. England weren’t up-to-scratch. The opening kick-off was also gaffed to set a flat tone. As they demonstrated in Dunedin, New Zealand are exceptional at recovering their own restarts. An improvement is required.